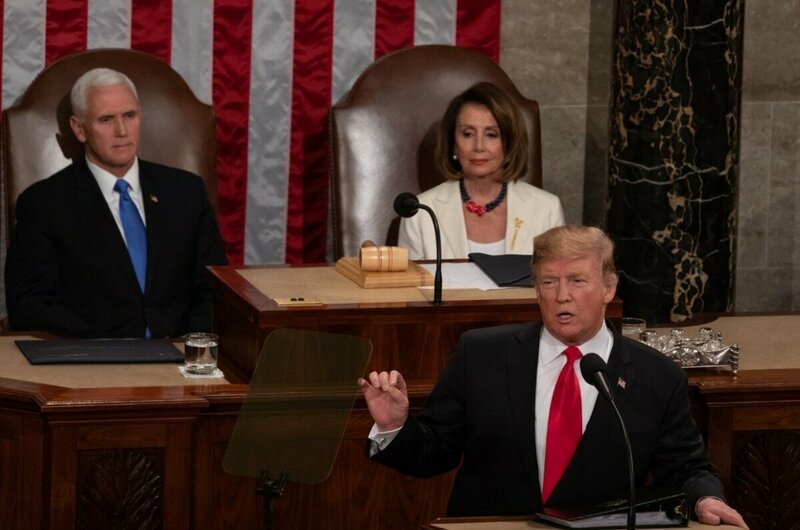 (TriceEdneyWire.com) – President Donald Trump’s 2019 State of the Union speech, delivered Tuesday night, following a government shutdown that left many people irreparably damaged, was taken in stride by African-Americans and Democratic leaders who express little hope for change. But, Abrams was clear on how millions of others view the wall. Trump laid out some key bipartisan goals such as research to end childhood cancer and HIV/AIDS as well as successes, including economic gains, infrastructure, and criminal justice reform. Guests in the gallery included formerly incarcerated offenders who he had pardoned under new bipartisan criminal justice reform. 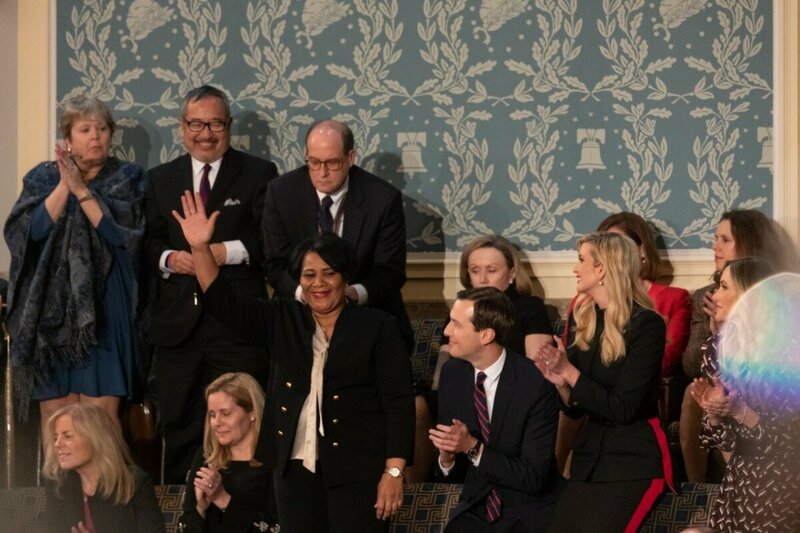 Those guests included Alice Johnson, who had served nearly 22 years of a life sentence as a first-time drug offender and Matthew Charles, sentenced to 35 years for selling drugs now “the first person to be released from prison under the First Step Act,” Trump said. South Carolina’s Jim Clyburn, the most powerful Black member of Congress as House majority whip, pointed out that Democrats are ready to work with the President, but their disagreement on the meaning of “greatness” is a major barrier.